Two things I've learned through the work I've done with my clients, is that what you want is typically less than what is possible for you and often the timing simply isn't right to get what you want. 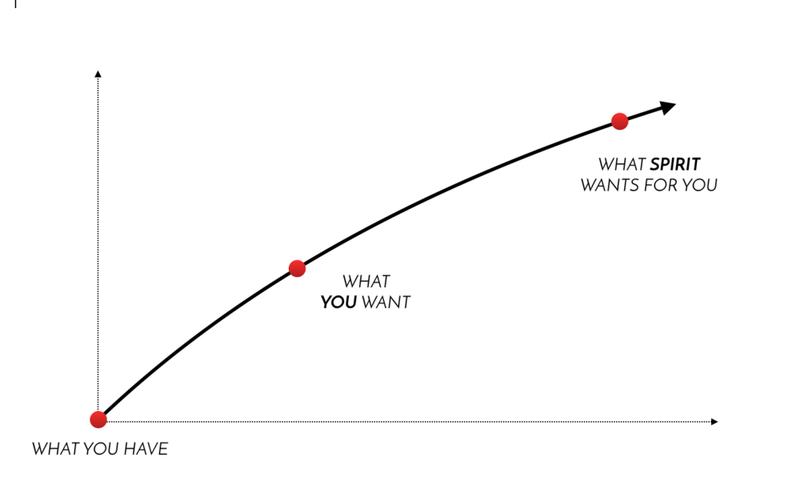 You probably have an idea of what you want. In fact you probably want many things, depending on the area of your life, which we're talking about. Those desires or wants were probably born through the awareness of what you have, but don't want — or don't have, but want. Your bank account has $326 — you want $3,260. You're blood sugar is consistently over 450 — you want 80-120. You have two children and want a third. On a Saturday night you want to do something fun, but have no one to call — you want friends. Infinite examples. Yet, for a moment, let's imagine that you were to acquire everything you ever wanted — then what? At some point, if you were one of the lucky ones, you might ask, "What does Spirit or this 'thing' that orchestrates the unfolding of life want for me? Fortunately you don't have to wait till you acquire all that you could ever want to answer this question. Whereas other coaches are in the business of getting you from what you have (Let's call this Point A) to what you want (Point B), I am in the business of getting you from Point A to Point C — to what Spirit wants for you — and sometimes what Spirit wants for you, is far greater than what you want for you.